Dr. William Foley, D.O., M.Sc. Dr. William (Bill) Foley, D.O., M.Sc., has been practicing full-scope traditional osteopathic medicine since 2001. 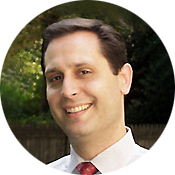 He founded Boston Osteopathic Health in Newton, MA in 2008. From that time, Boston Osteopathic Health has blossomed to include two additional physicians and two sites to meet increasing patient needs. Using his extensive knowledge of conventional as well as non-traditional medicine, combined with traditional osteopathic manipulation, he offers his patients the most comprehensive care possible. Dr. Bill Foley is an Osteopathic Family Physician, Board Certified in Family Medicine, Neuromusculoskeletal Medicine, and Osteopathic Manipulative Medicine. He was recently promoted to Assistant Professor at the University of Massachusetts Medical School Department of Family Medicine, and is Clinical Instructor of Family Medicine for Tufts School of Medicine. He has also served as an Assistant Professor of Osteopathic Manipulative Medicine at the University of New England. Additionally, he has held the position of Director of Osteopathic Manipulative Medicine at St. Vincent’s Hospital, the University of Massachusetts, as well as Great Brook Valley Health Center. He is currently serving as the current immediate past President of the Massachusetts Osteopathic Association. Dr. Bill Foley has lectured at local, national, and international medical conferences for such groups as Harvard Medical School, the Cranial Academy, the American Academy of Osteopathy, Melbourne Studies in Biodynamic Osteopathy, the Swiss Osteopathic Center for Kids, (Japan) and the Massachusetts Academy of Family Medicine. He has also conducted research using osteopathic manipulative treatment (OMT) for carpal tunnel syndrome and TMJ syndrome. As a teaching member of the Berkshire Osteopathic Study Group, the A Still Sutherland Study Group (ASSSG) , he regularly delivers several osteopathic lectures throughout the year. Dr. Bill Foley currently conducts 3-4 day conferences for advanced osteopathic post-graduate trainees including Osteopathic Treatment of the GI system, Treatment of the Pregnant Patient, and Advanced Anatomy and Osteopathy (Anatomy 101). Please see the link for further details.